To honor Mental Health Awareness Month in May of 2017, Derek posted a daily image to his social media outlets that showcased his ongoing battle with Dual Diagnosis, a term for those who struggle with both mental illness and substance abuse. 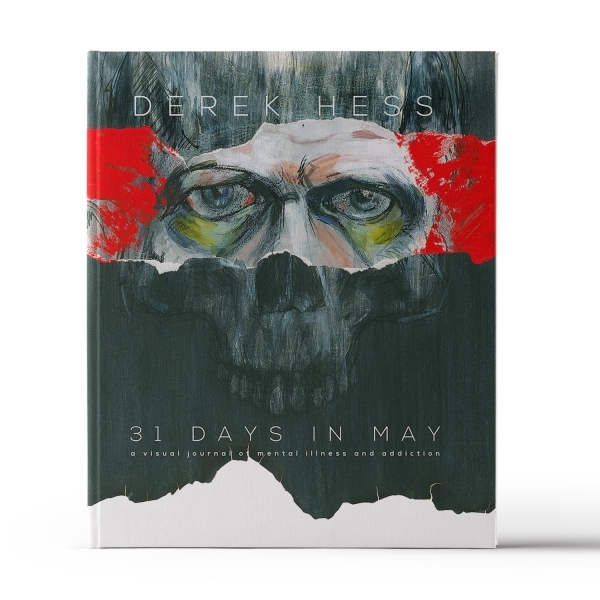 This book, 31 Days In May, is a look at the link between creativity and disturbed mental states, as told through Derek’ artwork. What started off as self-exploration quickly turned into a personal journey for those among Derek’s followers who were dealing with mental health and addiction issues oftheir own. Topics such as loneliness, relationships, depression and suicide are beautifully and painfully depicted throughout the book with the hope that it not only helps dispel some of the negative stereotypes surrounding mental illness, but also helps to educate readers, and shows others so afflicted that they aren’t alone. 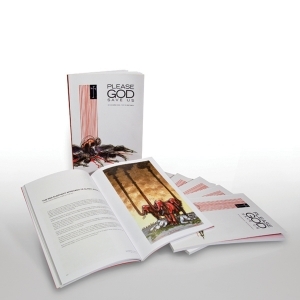 Along with the 31 images that were originally posted, Derek included additional thematically-linked pieces, resulting in a generous book of over 150 pages filled with stunning art. 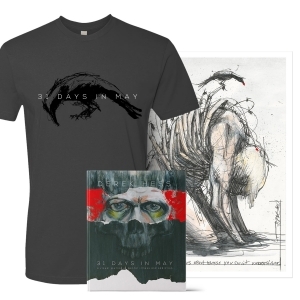 The book concludes with a gallery of Derek Hess-inspired tattoos (see next page), which fans of his art and message have gotten to help deal with their own mental health issues. 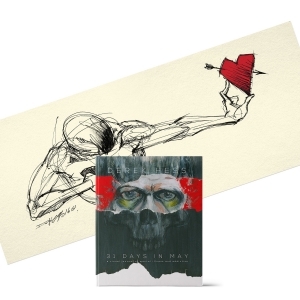 31 Days In May is over 150 pages, hardbound, and contains over 120 Derek Hess images, some never before published, with a foreword by Dr. Joseph Calabrese, Director of the Mood Disorders Program at the Uiversity Hospitals Cleveland Medical Center. 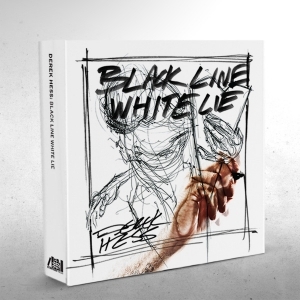 Each copy will be signed by Derek.